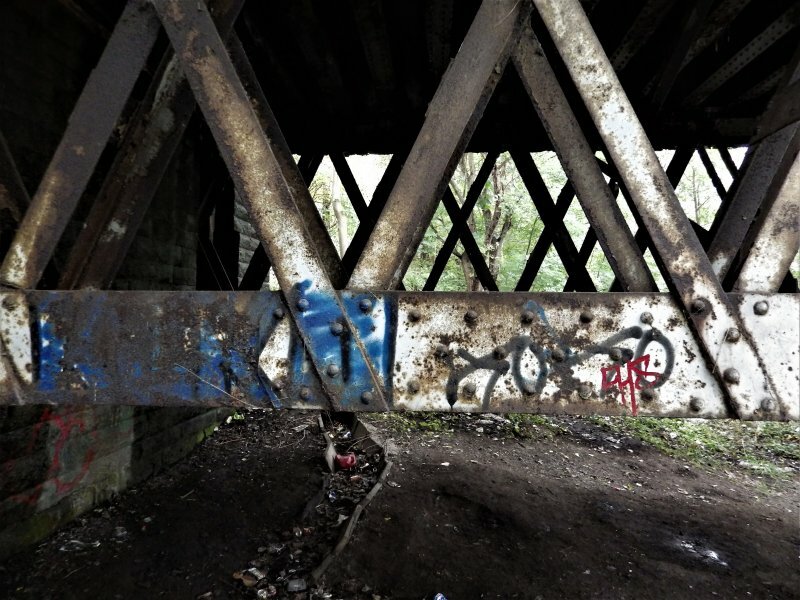 An example of graffiti on the steel latice work supporting the decking. 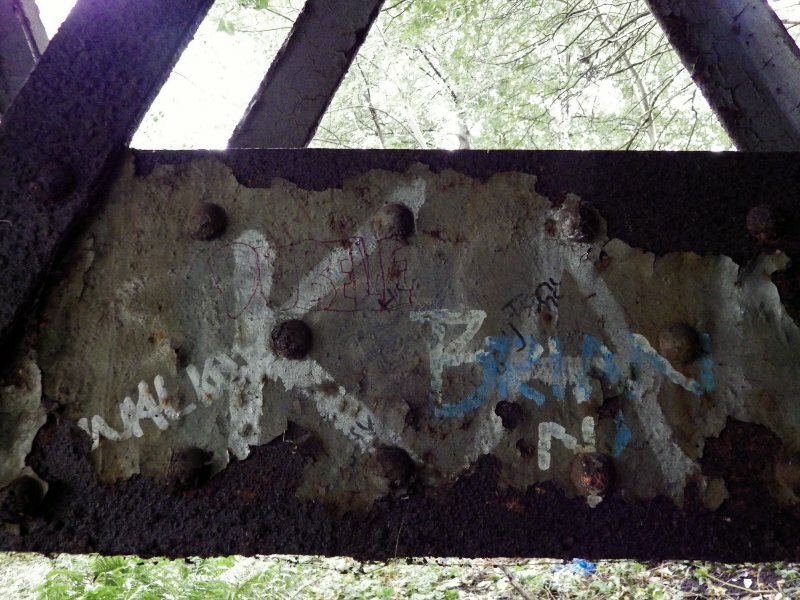 An example of graffiti on concrete slabs below the bridge. 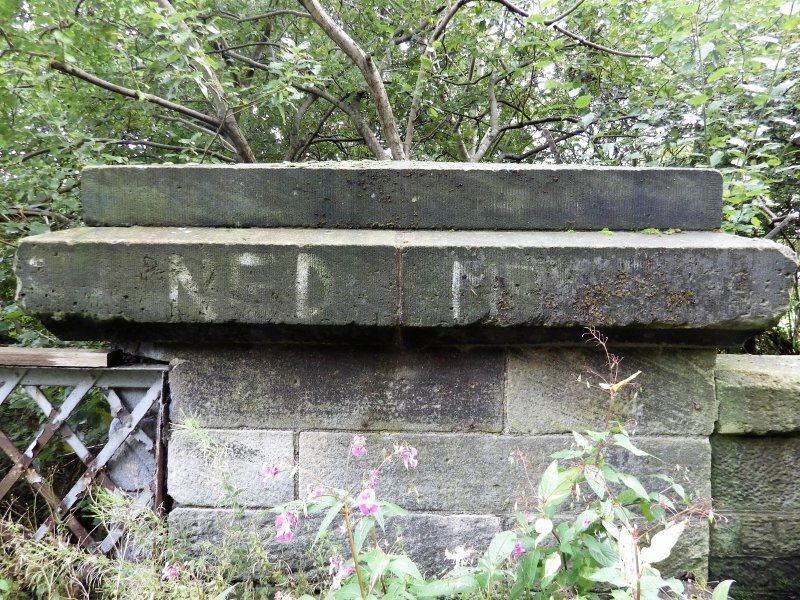 An example of graffiti on the stone parapet of the bridge. 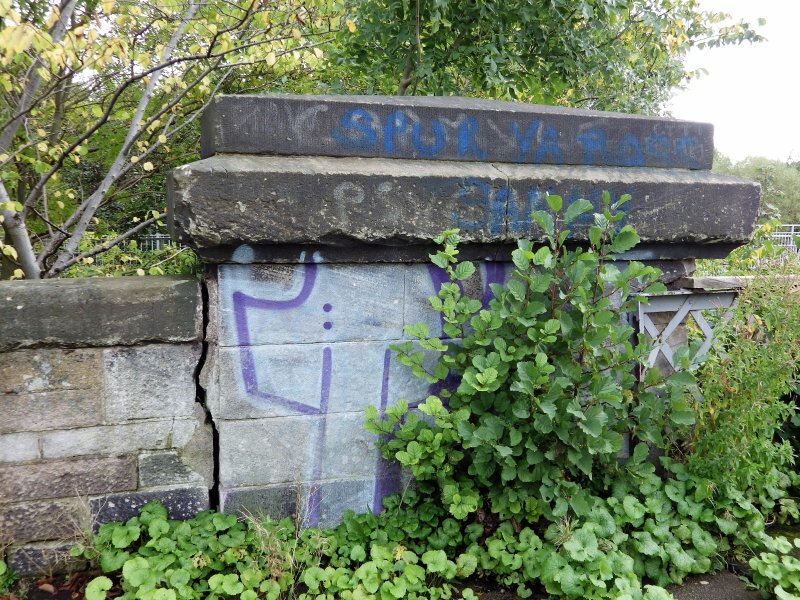 Graffiti on the stone parapet at the south end of east side of the bridge. 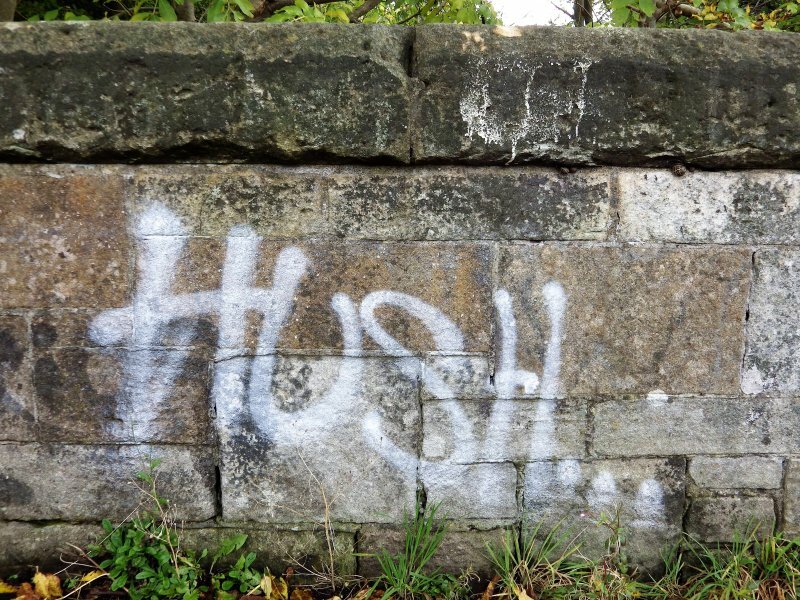 Graffiti on the stone parapet at the north end of west side of the bridge. 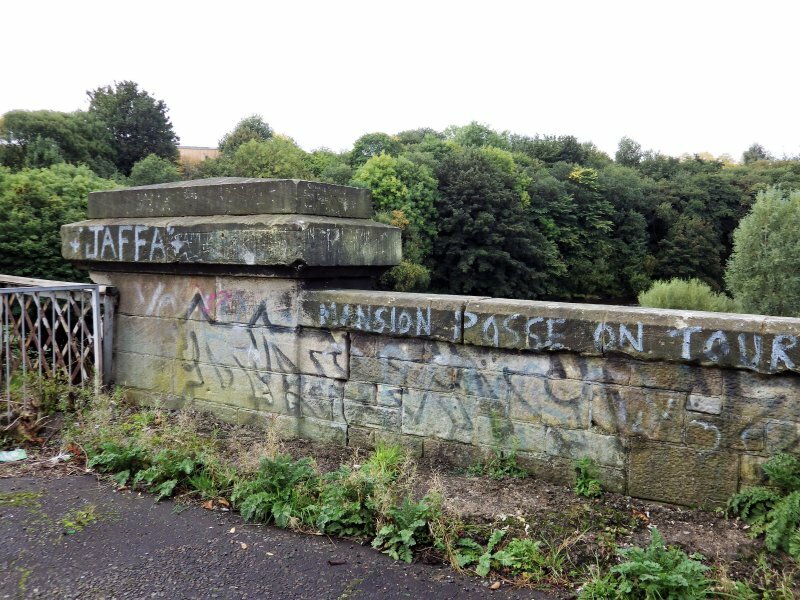 Graffiti on the stone parapet at the north end of east side of the bridge. 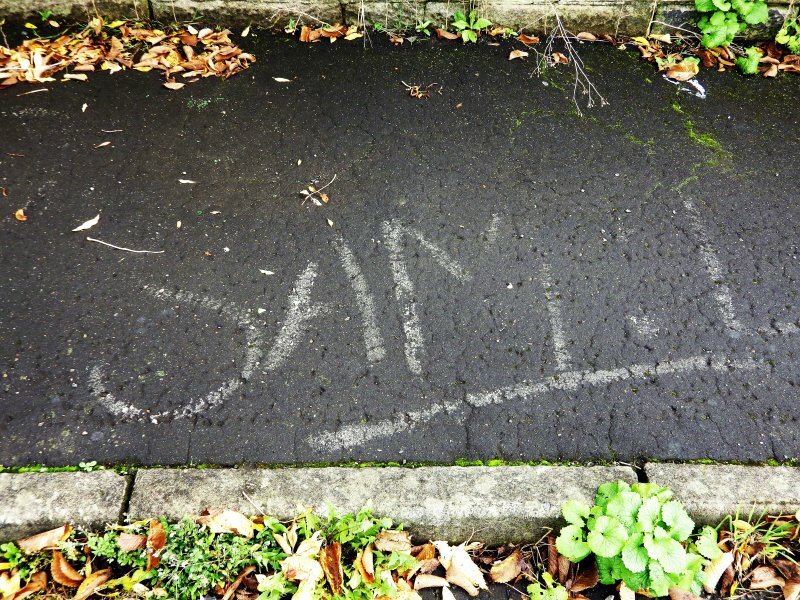 Graffiti on the pavement at the north end of the bridge. 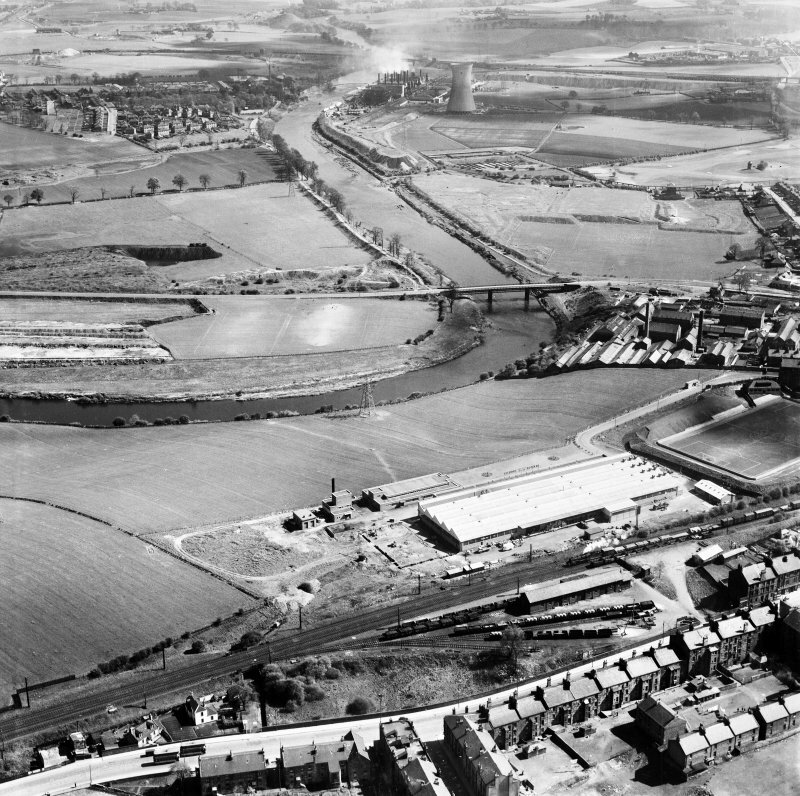 Glasgow, general view, showing Hoover (Electric Motors) Ltd. Cambuslang Works, Somervell Street and Cambuslang Bridge. Oblique aerial photograph taken facing east. 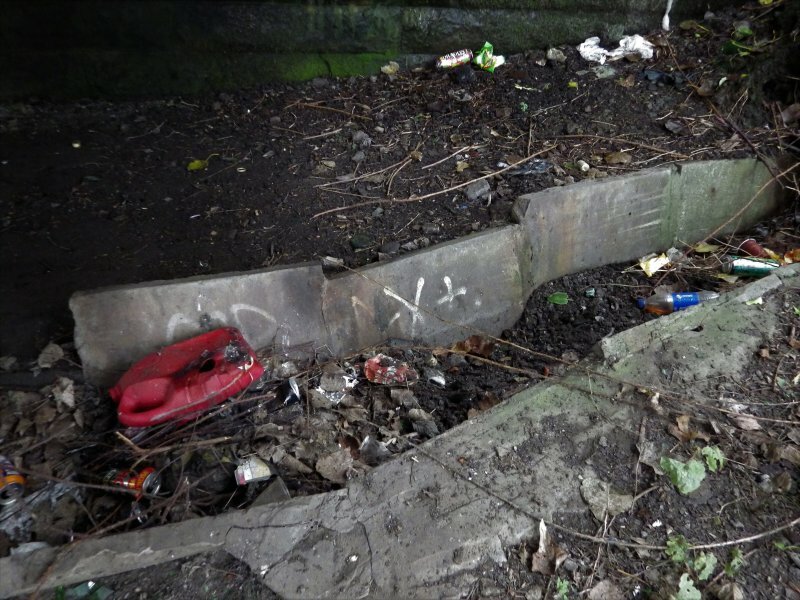 Location formerly cited as NS 6408 6102. 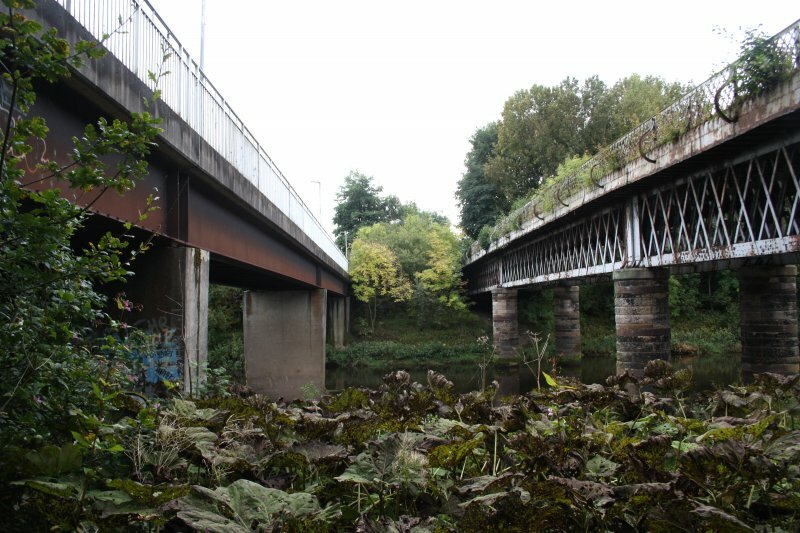 For Cambuslang Footbridge (adjacent to E), see NS66SW 969. 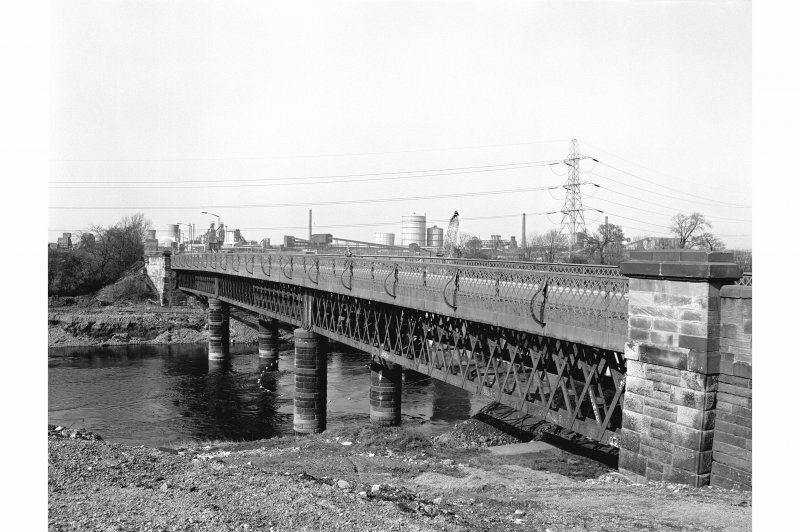 Cambuslang Bridge, from Cambuslang Road to Bridge Street. 1892, engineer Crouch and Hogg. 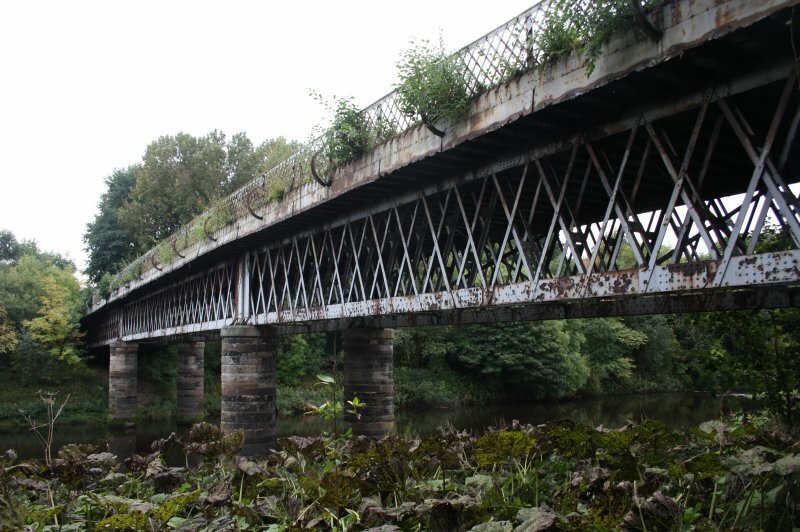 The flimsiest bridge in the city to carry road traffic over the Clyde, and subject to a vehicle weight restriction. 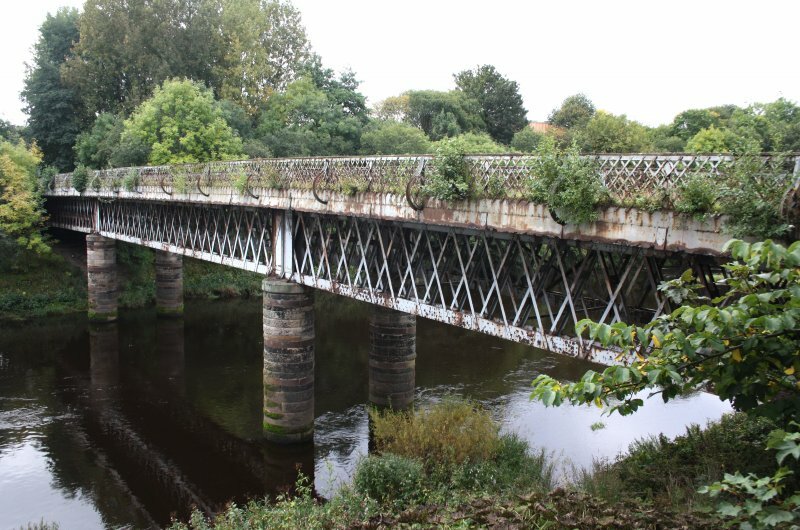 Three spans of steel lattice girders, only two girders in the width, and about 30m (100ft) span, supported by cylindrical masonry piers which rise almost 6m (20ft) above water level. E Williamson, A Riches and M Higgs 1990. 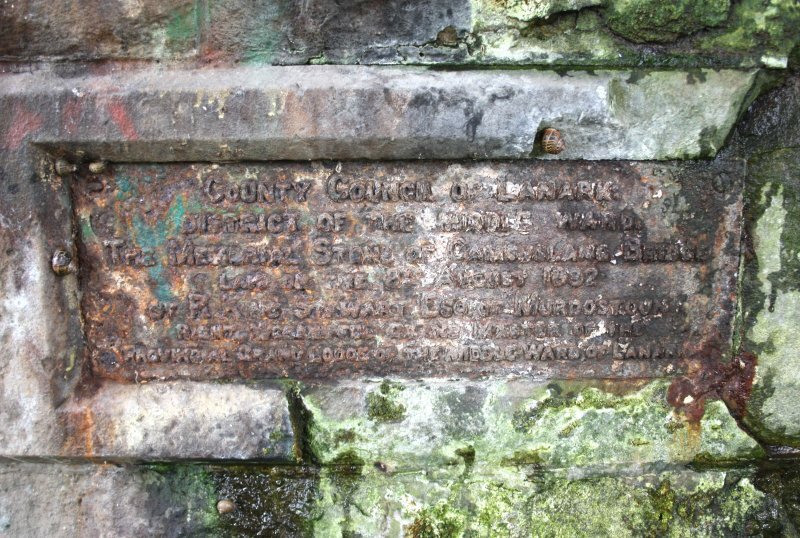 A bridge is depicted on the 1st edition of the OS 6-inch map (Lanarkshire 1864, sheet xi) carring a mineral railway serving a number of coal mines and the Clyde Iron works (NS66SW 259). 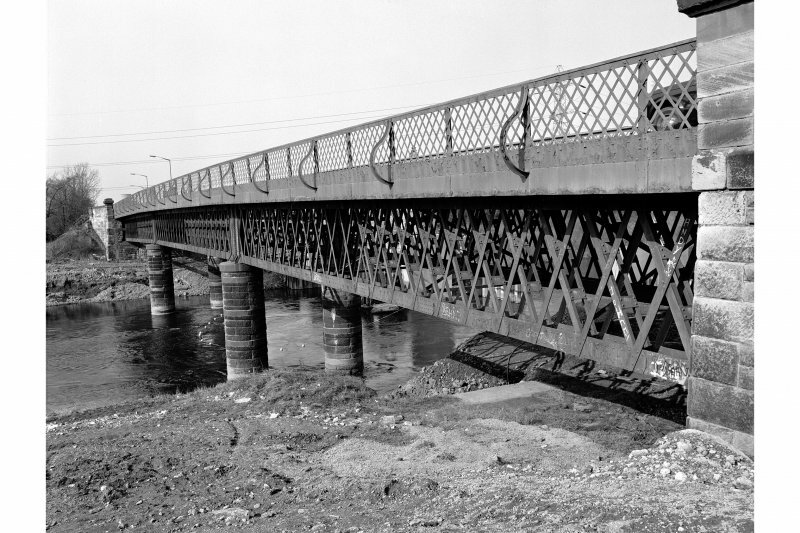 Hume's photographs of the bridge shows that it is of a lattice girder design similar to that used by railway engineers. 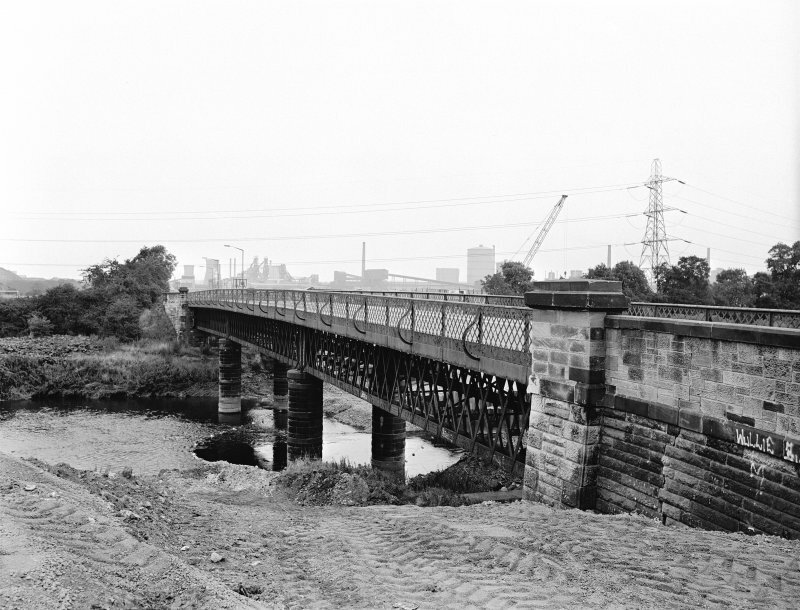 It seem likely that the railway bridge was converted for road traffic some time before Hume's photograph of 1977. Information from RCAHMS (AKK) 11 July 2000. 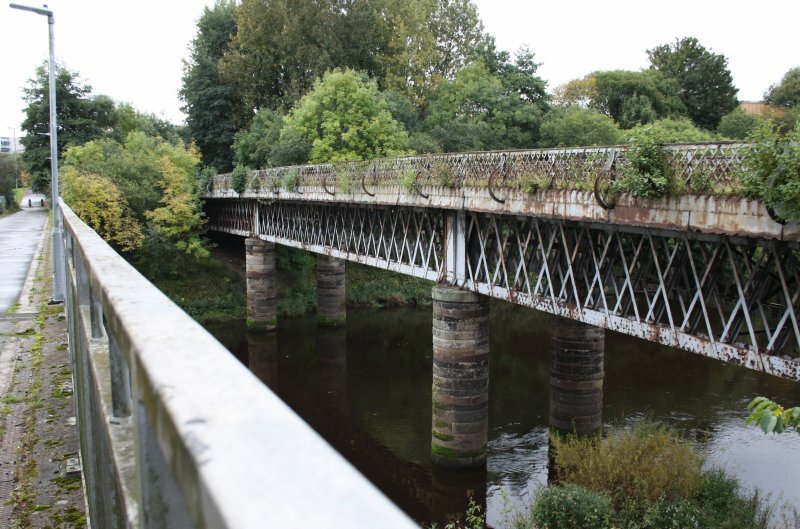 This bridge carries the A763 public road over the River Clyde to the S of Cambuslang. 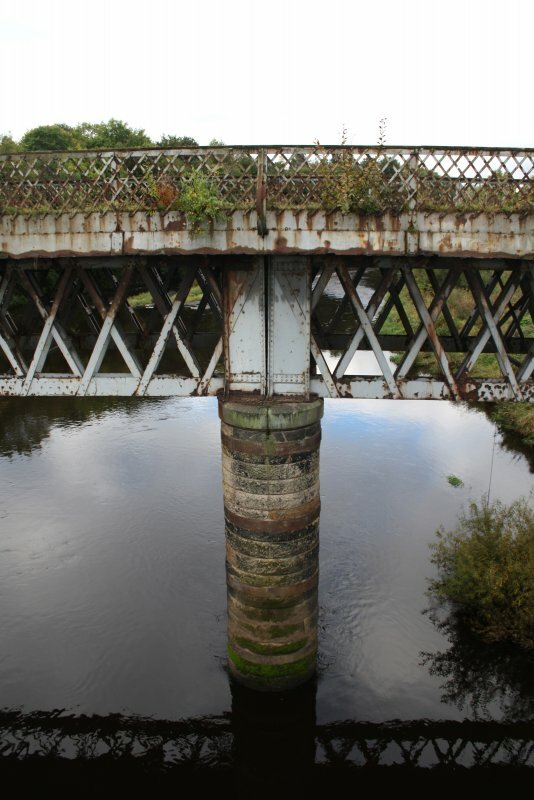 The river here forms the boundary between the parishes of Old Monkland (to the N) and Cambuslang (to the S). The location assigned to this record defines the centre of the span. 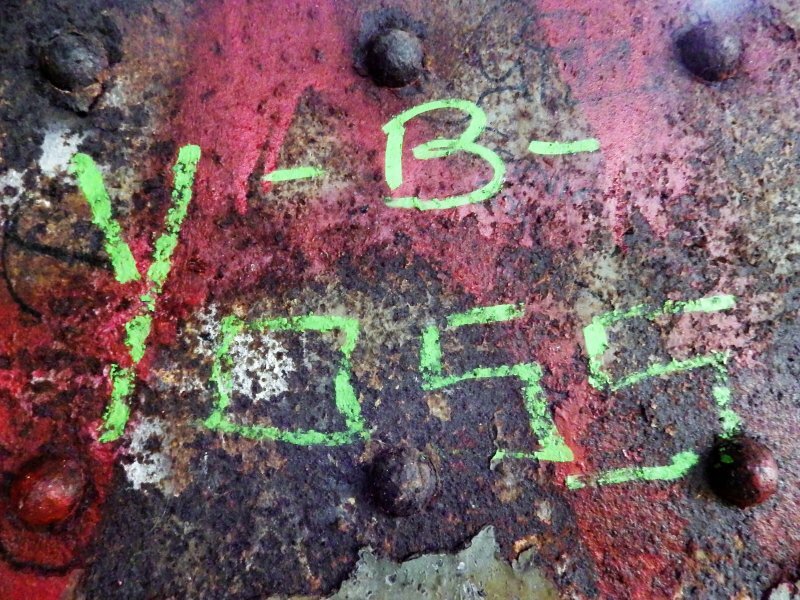 The available map evidence indicates that the structure extends from NS c. 64056 61071 to NS c. 64094 60988. Information from RCAHMS (RJCM), 9 January 2006. 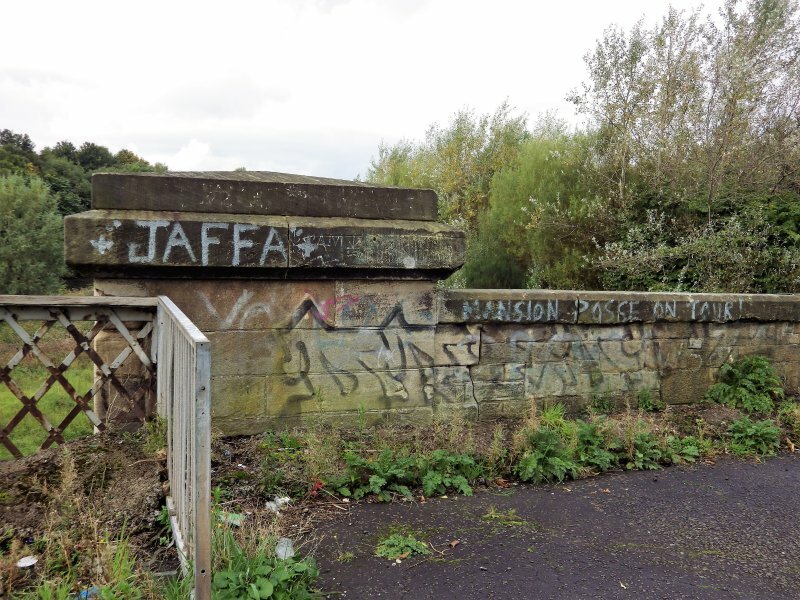 There are numerous examples of graffiti, most of it spray-painted, on the stone parapets of this bridge, on the tarmac pavement, on the stone abutments below the decking, on the steel lattice frame that supports the decking and even on features at ground-level below the decking. 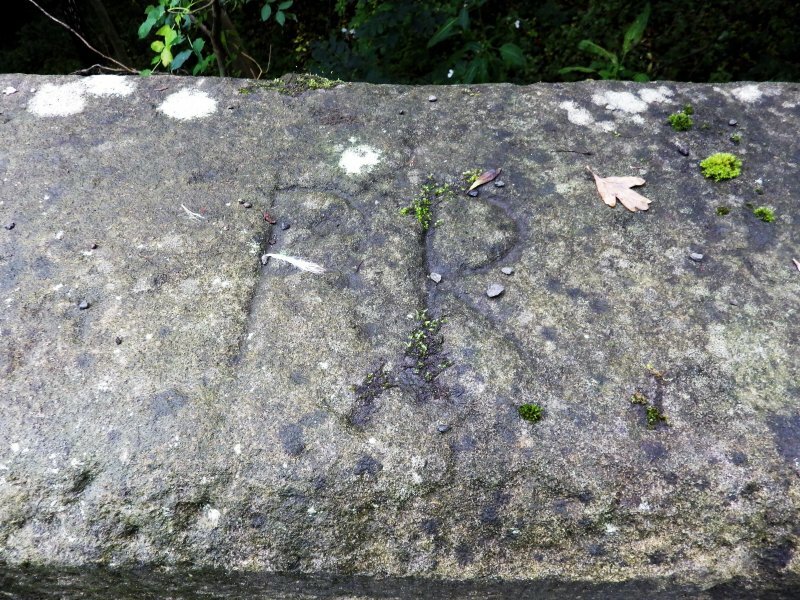 There is at least one much older instance of graffiti, a set of initials, which has been carved into the upper surface of the east parapet at its south end. Visited by HES Survey and Recording (JRS, AMcC) 28 September 2017.